Besides plushes, I love collecting Sanrio's coin banks. Aren't they adorably cute? Like many collectors, I have come to understand the fascination for coin banks/statues. You really cannot find these coin banks anywhere except in e-bay or in Sanrio stores. 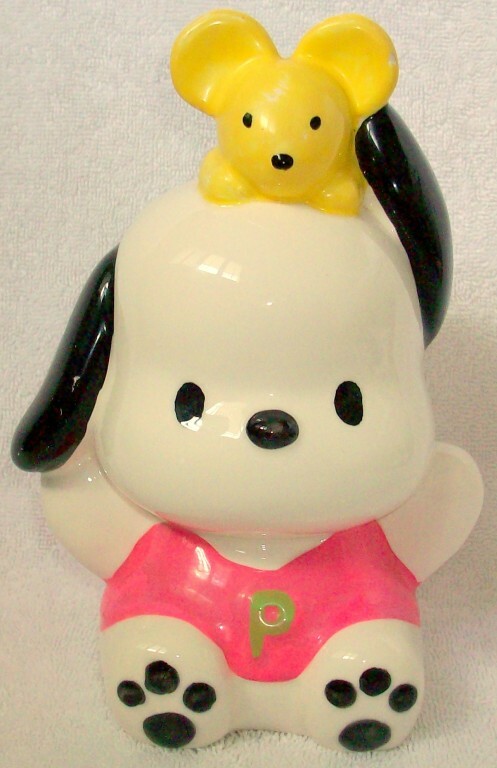 Though, big ones that reach 9" is a rare one in the sanrio community these days because Sanrio hasn't been creating and selling large coin banks since the 90's. 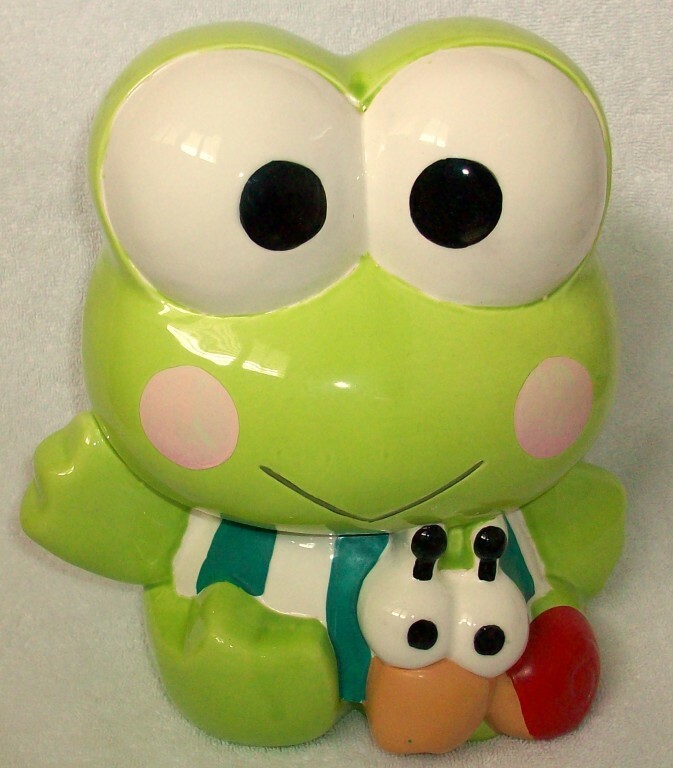 Coin banks are one of the many things that I wish Sanrio brought back in their Sanrio stores across the country. I believe that Sanrio needs to go back to the basics of things that made their Sanrio characters so popular. If it wasn't for vintage items and e-bay, I would have stopped collecting Sanrio all together. It really isn't fun stepping into a Sanrio store and leaving with a disappointing feeling. I did that so many times in 2003-2008 that I eventually stopped visiting Sanrio for months. It's a pattern that is hard to break because I have lost faith in new Sanrio products. The only character that keeps me coming back is the Little Twin Stars. I'd have to say I have purchased more LTS than Hello Kitty when it comes to new products. With Sanrio, their Hello Kitty series is more like a hit and miss. Mostly misses, but a very few that are actually cute. Here's to much hope that Sanrio can turn their luck around and get back into the game of tuning out quality designed products.